PSA Peugeot Citroen has reported a whopping EUR5bn net loss for 2012 after it chose to write-down EUR4.7bn in asset valuations as it continued to feel the effects of lower sales in Europe. The headline net loss figure compares with an EUR588m net profit in 2011. Group revenues were down 5.2% to EUR55.4bn. Automotive Division revenues declined by 10.3% to EUR38,299m in 2012, in a European market down 8.6%, with high exposure for PSA Peugeot Citroën in severely depressed southern European markets. Overall group sales in Europe fell by 14.8% over the year. Revenues from new vehicle sales declined by 12.4% to EUR27,765m from EUR31,677m in 2011. The Automotive Division reported a recurring operating loss of EUR1.5bn in 2012, compared with a recurring operating loss of EUR92m the previous year. PSA said that the loss reflected the contraction in demand (for EUR729m) and the continued adverse impact of raw materials and other costs (for EUR394m), with an overall negative impact from the unfavourable operating environment of EUR1,022m. However, the company suggested that it has taken the right actions to weather the downturn and highlighted cost-cutting – EUR1.18bn of savings last year - which it said has exceeded targets. It also maintained that product mix was a positive, with the launches of the Peugeot 208, the Citroën DS5, SUVs and four hybrid vehicles extending the line-up. Premium vehicles, PSA maintained, accounted for 18% of sales in 2012, double their share three years ago. 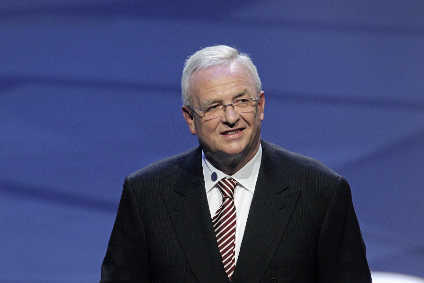 PSA CEO Philippe Varin squarely blamed the European market environment for the weak results, but suggested that the foundations for a company rebound have been laid. "The group's 2012 results reflect the deteriorated environment in the automotive sector in Europe. In this context we have taken the difficult but necessary measures to reorganise our manufacturing base in France. The results of the cost reduction and asset disposal plans have exceeded our targets, highlighting the exceptional commitment of our employees. Finally, our strategic Alliance with GM has entered into execution phase. “Today, the foundations for our rebound have been laid. We are going to build on the strong identity of our brands and differentiate their customer territories. We are going to focus our investments, actively restore our profitability in Europe and reap the benefits from our investments in growing markets." In the context of the deterioration of the European automotive market, the overall efforts deployed by the Group and the difficult decisions taken have enabled PSA Peugeot Citroën in 2012 to lay the foundations for its industrial and commercial rebound. These measures, together with the impairment of the Automotive Division assets, announced on February 7th, enable the Group to start 2013 with a solid base to assure its rebound. Group revenues down 5.2% to €55.4 billion. Automotive Division revenues down 10.3%. Consolidated recurring operating loss of €576 million despite a very tough environment, with a recurring operating loss of €1,504 million for the Automotive Division. Net loss, Group share of €5,010 million after an impairment charge of €3,009 million in respect of the global value of the Automotive Division assets under the application of IAS 36 and €879 million in application of IAS 12, to reflect the deterioration of the European market, with no impact on the Group's solvency or its liquidity. Net debt at 31 December 2012 reduced by €211million to €3,148 million, with an Automotive Division net debt1 reduced by €712 million to €1,256 million. Today, the foundations for our rebound have been laid. We are going to build on the strong identity of our brands and differentiate their customer territories. We are going to focus our investments, actively restore our profitability in Europe and reap the benefits from our investments in growing markets." "Despite the difficult context that the Group is facing, I am extremely confident in the capabilities of all the Groups employees and of the Managing board led by Philippe Varin to turn the situation around and assure our Group's recovery." In the current environment, the Group expects to see a contraction in the European market of around 3% to 5% in 2013, and growth of approximately 8% in China, 2% in Latin America and 2% in Russia. In 2012, free cash flow stands at €-1 387 million. Operational free cash flow (excluding exceptional items and restructuring) amounts to -€3 billion, out of which -€2.5 billion for the Automotive Division and -€0.5 billion for Faurecia. In 2013, the Group aims to halve the rate of its operational free cash flow consumption, and confirms its objective of restoring operational cash flow to break-even by the end of 2014. Consolidated revenues declined by 5.2% to €55,446 million in 2012, impacted by the 10.3% drop in Automotive Division revenues, to €38.3 billion, primarily reflecting an 8.8% decline in units sales excluding CKDs, and an unfavourable country mix, with markets in Southern Europe accounting for 57% of Group sales. Revenues from the other Divisions rose during the year, with Faurecia contributing €17,365 million and Banque PSA Finance (BPF) €1,910 million. The consolidated recurring operating loss amounted to €576 million, versus consolidated recurring operating income of €1,093 million a year earlier. This result was primarily attributable to the Automotive Division, which recorded a loss of €1,504 million for the year compared with a loss of €92 million in 2011, impacted by lower volumes and pricing pressure. It also reflects the suspension in sales of CKD units to Iran since February and the deconsolidation of Gefco. The recession in Europe also weighed on Faurecia's recurring operating income, which declined by 21% to €514 million. At BPF, recurring operating income fell by 26.5% to €391 million, reflecting a revision in November of the statistical model used to calculate provisions in respect of retail loans, which had an exceptional impact of €136 million. Non-recurring operating income and expenses came to a net expense of €4,122 million, versus a net expense of €417 million in 2011. In accordance with IAS36 and the recommendation of the AMF, a non-cash impairment charge of €3,009 million was recognised in 2012 with respect to the tangible and intangible assets of the Automotive Division to reflect the downgraded outlook for the European automobile market. The European market is likely to remain at 2012 levels for the foreseeable future. These impairments do not entail any cash out, and are reversible. They lead to a readjustment of the amortisable asset base in future years. Total tangible and intangible assets of the Automotive Division after depreciation stand at €13.9 billion, out of a total Group balance sheet of €64.8 billion. In 2012, provisions related to the new measures to reorganise the industrial activities and redeploy the workforce as announced in July 2012, were recognised in the 2012 results for an amount of €528 million, of which €440 million for the Automotive Division. Elsewhere, other non-recurring operating charges of €855 million arose on the impairment of specific assets and provisions for contracts at the Automotive Division of which €612 million were already booked in the first half. Net financial expense rose to €418 million from €329 million in 2011, reflecting, among other things, the impact of repaying the loan from the French State in 2011, which generated a €73-million provision reversal in the first-half of 2011, the two new bond issues by PSA Peugeot Citroën of €500 million in September 2011 and of €600 million in April 2012, whose finance costs came to €60 million in 2012. On top of these, €59 million came from Faurecia with a new €250 million bond issue and a €140 million tap on the bond issue of November 2011. The net loss, Group share totalled €5,010 million, versus a profit of €588 million in 2011 after the depreciation of assets and exceptional charges. An additional depreciation charge of €879 million was recorded in respect of the net loss of value of deferred taxes under IAS12. Automotive Division revenues declined by 10.3% to €38,299 million in 2012, in a European market down 8.6%, with high exposure for PSA Peugeot Citroën in Southern Europe. Overall Group sales in Europe fell by 14.8% over the year. Revenues from new vehicle sales declined by 12.4% to €27,765 million from €31,677 million in 2011. They benefited in part from, a favourable impact from the product mix, at 2.2%. This confirms the move upmarket of the Peugeot and Citroën brands in 2012, with the launches of the Peugeot 208 (already 220 000 units sold), the Citroën DS5, SUVs and four hybrid vehicles extending the line-up. Premium vehicles accounted for 18% of sales, double their share three years ago. However this positive impact was insufficient to offset the 11.4% contraction in volumes in comparison with 2011, the first half of which benefited from a surge in registrations ahead of the phase-out of scrappage incentives. Price pressure remained aggressive, resulting in a negative 1.0% price effect. The exchange rate effect was slightly favourable over the year. Sales outside Europe accounted for 38% of the 2012 consolidated total, compared with 33% in 2011. The Automotive Division reported a recurring operating loss of €1,504 million in 2012, compared with a recurring operating loss of €92 million the previous year. The loss reflected the contraction in demand (for €729 million) and the continued adverse impact of raw materials and other costs (for €394 million), with an overall negative impact from the unfavourable operating environment of €1,022 million. The Group's significant efforts to reduce costs fed through to savings of €1,181 million, significantly above the target of €1 billion. The product mix continued to improve, with a €321 million gain. However, these positive effects did not fully offset the €559 million impact of market share losses in the deeply depressed European markets, the contraction in Latin America in the first half, nor the heavy €1,155 million impact from price pressure, notably through product enrichment ahead of new launches. Together, these factors led to a negative Automotive Division performance of €391 million in 2012. Inventory at 31 December stood at 416,000 vehicles, down 29,000 from 31 December 2010, in line with objectives. Vehicle sales in China grew by 9.2% to 442,000 units. 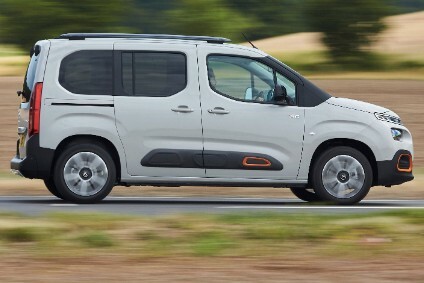 DPCA profit attributable to PSA Peugeot Citroën came to €171 million for the year. The dividend paid to the Group increased by 31.7% to RMB 776 million from RMB 589 million in 2011. Two new C segment models, the Citroën C4-L and the Peugeot 3008 SUV, were presented in the second half. The third plant in Wuhan has been under construction since May 2011, with the first facility scheduled to come on-stream in the second half of 2013. In 2015, DPCA will have a production capacity of 750,000 units a year at Wuhan. On 28 June 2012, the second Chinese joint venture, CAPSA, introduced the DS line in the local market, with the DS5 and DS4. The DS3 was launched in the second half. 25 DS Stores had been opened as of 31 December. Local production will begin in the second half of 2013. With operations in Shenzhen, the joint venture will have initial annual production capacity of 200,000 vehicles and engines. In Russia, Group sales rose 4.9% to 78,000 units, with growth led by the locally assembled Peugeot 308 and Citroën C4. In September, these models were joined by the Citroën DS4, DS5 and C4 Aircross and the Peugeot 508 and 4008, as well as the Peugeot 408, the first model to be entirely built in Russia. Local sales of light commercial vehicles increased by 18%, for a 7.4% share of the market (up 0.9 pt). Model line-up renewed in Latin America: ROI break even in the second half of the year. In Latin America, Group sales fell 13.2% to 283,000 units, impacted by the prolonged production stoppage at the Porto Real plant and a tense competitive environment. Market share stood at 4.8% for the year. The situation is expected to stabilise, with the model lines currently being renewed. The recent launch of the Peugeot 308 was followed in the second half by the introduction of the Citroën C3. The Citroën DS3, DS4 and C4-Aircross and the Peugeot 508 and 4008 also enhanced the line-up in 2012. Faurecia reported a 7.3% increase in revenues in 2012, with a like-for-like gain of 2.0%. Recurring operating income declined by 21.0% to €514 million as a result of the situation in Europe. Recurring operating margin stood at 3.0% versus 4.0% in 2011. Banque PSA Finance turned in a good performance in 2012, with net banking revenue up 4.2% to €1,075 million despite a contraction in originations reflecting the slowdown in Automotive Division sales. The bank's penetration rate among the Group's customers rose by 2 points to an historic high of 29.8%. Net risk provisions stood at 1.23% of average net loans outstanding, reflecting a revision in the statistical model used to calculate provisions for retail credit losses. The core tier-one capital ratio remained high at around 13%. Thanks to the success of several refinancing transactions, the Bank enjoys €8.2 billion in liquidity reserves, in line with its strategy of maintaining a security margin exceeding six months. In 2012, BPF benefited from access to LTRO and ECB financing, and increased its recourse to securitisation to improve the diversification of its financing sources. €11.5 billion in confirmed bank facilities with the banking pool. An increase in the securitization and repo elligible from 18% to around 27%. The launch of a passbook savings account for retail customers in the first half of 2013. Net debt of the manufacturing and sales companies amounted to €3,148 million at 31 December 2012 compared with €3,359 million at 31 December 2011. Faurecia's net debt totalled €1,892 million, up from €1,391 million a year earlier. The net debt of the Automotive Division (industrial and commercial companies excluding Faurecia) was reduced by €712 million over the year to €1,256 million. With a strong €10.6 billion in financial security, compared with €9.3 billion at 31 December 2011, the financial position is solid, with €7.3 billion in cash reserves and €3.2 billion in undrawn lines of credit. These resources were strengthened during the year with the €1 billion capital increase, the issue of €600 million in 5.625% bonds maturing in more than five years, the disposal of €2 billion worth of assets and the payment of an exceptional dividend by Banque PSA Finance. They offset the operational cash flow consumption for the year of €2,807 million excluding exceptional items (exceptional dividend from Banque PSA Finance, asset disposals and financial investments) after consumption of €1,763 million in 2011. Funds from operations, which amounted to €1,033 million versus €2,395 million at end-2011, were used to finance €3,814 million in capital expenditure and capitalised R&D to support the Group's development in and outside Europe, product momentum and €67million in financial investments (mainly the CAPSA joint venture). Change in working capital of the manufacturing and sales companies was a negative €602 million, with a limited €339 million decrease in inventories, receivables reflecting seasonal variations and an €835 million decrease in payables due to production stoppages in the last quarter. The Group received an exceptional dividend from Banque PSA Finance of €360 million. Asset disposals were above target, with €448 million from the sale of CITER, €634 million from real estate disposals and €897 million from the sale of Gefco. The capital increase raised an additional €967 million in equity financing, with another €89 million from the sale of treasury stock and rights. With €7.3 billion in cash resources at 31 December 2012 and €3.2 billion in undrawn back-up facilities, the balance sheet of the manufacturing and sales companies remains solid. Equity amounted to €10,557 million at 31 December 2012 and gearing stood at 29.8% compared with 23% at end-2011.